Whether you are planning a large family gathering or a small get together with friends, we have great accommodations waiting for you. Enjoy evening bonfires, star gazing, and a beautiful view of the Calamus River valley. 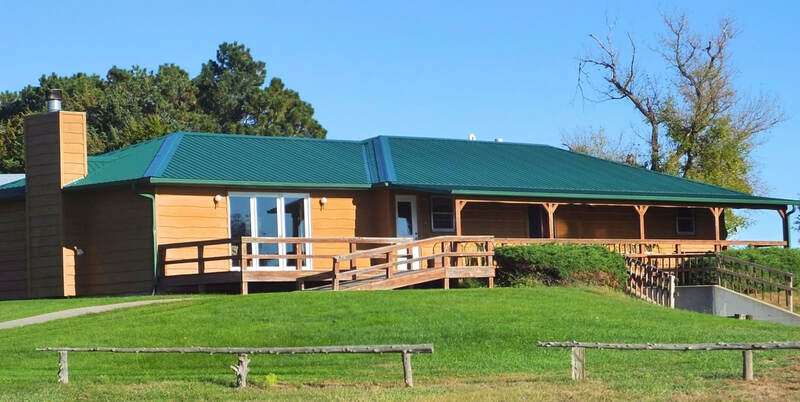 ​The two lodges at Calamus Outfitters are loaded with modern amenities and the comforts of home (A/C & Satellite TV). 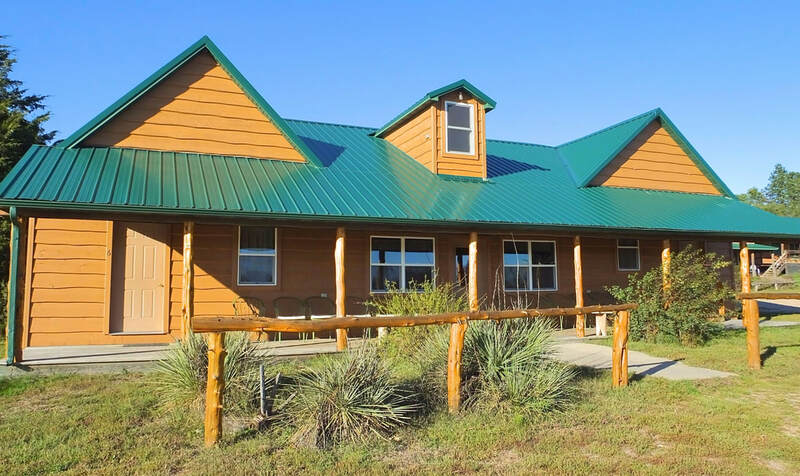 Both lodges sleep up to 20 people comfortably, with 5 private bedrooms in each (bedrooms have their own bathroom), a large great room, one extra 1/2 bath and kitchen. Each have a covered deck, charcoal grill and fire ring. From Memorial Day weekend through Labor Day weekend, a two night minimum stay is required and Friday and Saturday nights must be booked together. Please see our Rates page for pricing. Note: No smoking inside and no pets. Smaller parties may enjoy one of our 4 modern cabins. Each cabin sleeps up to 6 and is furnished with A/C, mini refrigerator, microwave, coffee maker, shower, towels and a charcoal grill. 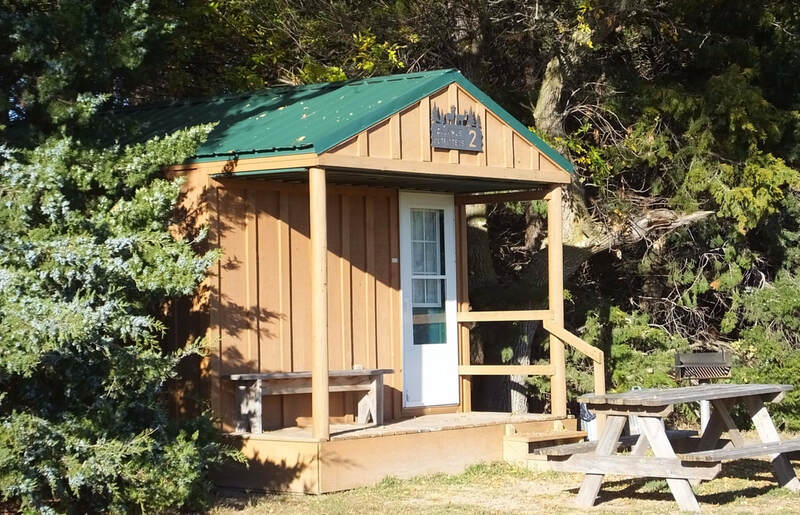 From May through September, bedding is not furnished in the cabins. Please bring your choice of sleeping bags or sheets, blankets, pillows, etc. A two night minimum stay is required on the weekend (Friday-Saturday) from Memorial Day weekend through Labor Day weekend. Single night bookings are permitted Sunday through Thursday. Please see our Rates page for pricing. 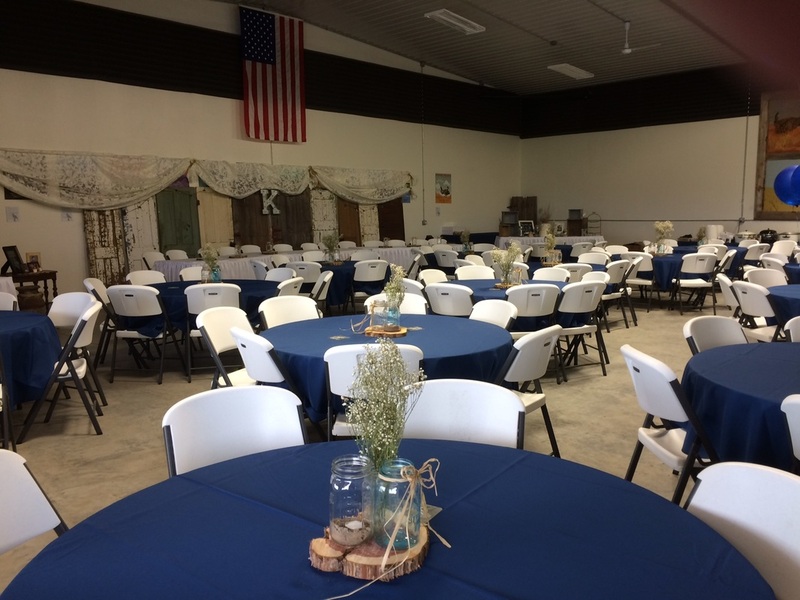 Our Big Barn is great for family reunions, small gatherings or business meetings. It has 2 restrooms, multiple plug-ins and 15 round tables and 120 chairs. For groups up to 50 it is $75.00/day and for groups of 51 to 100 it is $100.00/day. For bigger events please call for a quote!